When Solomon Levinson escapes arrest in the final days of Joseph Stalin’s regime, he embarks on a quixotic attempt to kill the leader of the Soviet Union. Along with Frederick Lewis, a black American who has left Omaha for the Soviet Union and a ragtag crew of Soviet dissenters, Levinson races to thwart a monstrous plan to unleash second Holocaust against the Jews of Russia. 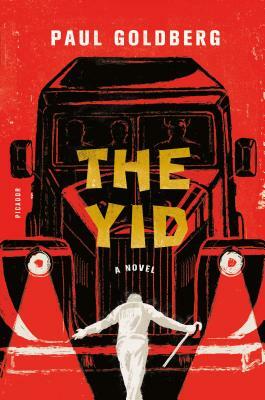 The Yid is a very serious farce, a philosophical novel larded with pitch black comedy. Fans of City of Thieves and Absurdistan will love Paul Goldberg’s ambitious new novel.